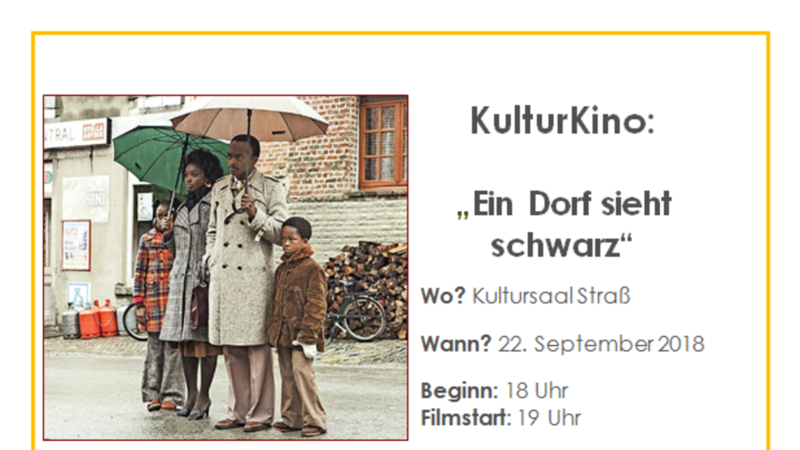 On September 22nd Snapshots From The Borders presented „Ein Dorf sieht schwarz“ (original: Bienvenue à Marly-Gomont) in the culture hall in Strass. After the more informative events in June and on September 9th this more entertaining evening was a good occasion for coming together for interested people and also having some discussions on integration. The audience discovered a few parallels between both the everyday life in rural France and the attitudes of the characters in the movie and their situation in Strass.